Are you a bird lover? Do you have them in your house in bulk? My cousin is literally obsessed with them. 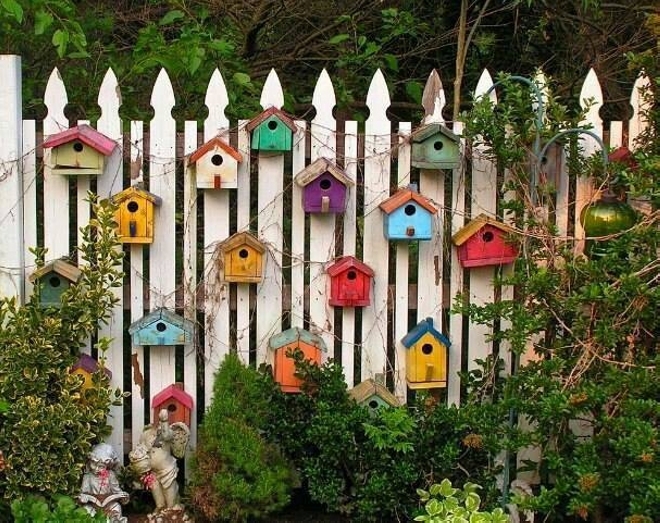 Being a bird lover compels you to take all possible care of your birds as much as possible. 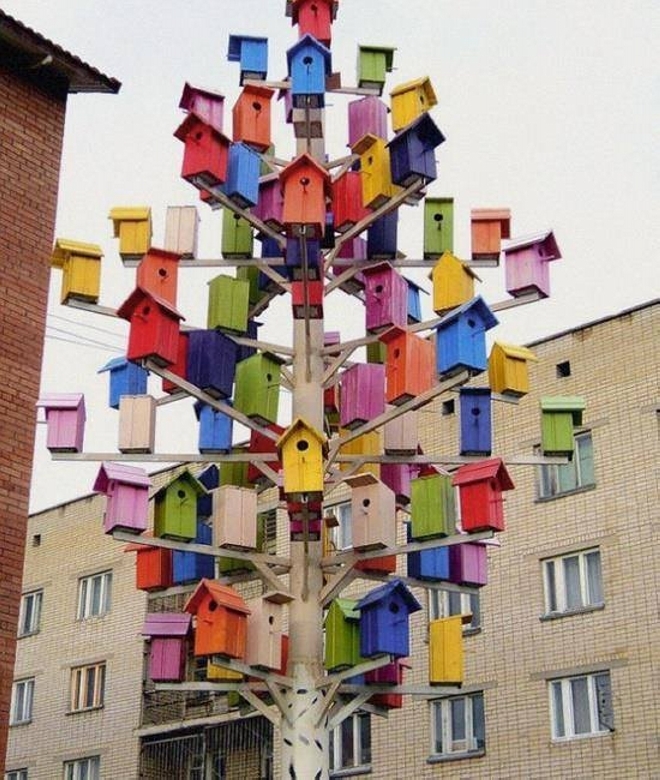 Here are some model bird houses, you can choose your favorite house from them to have one at your place. 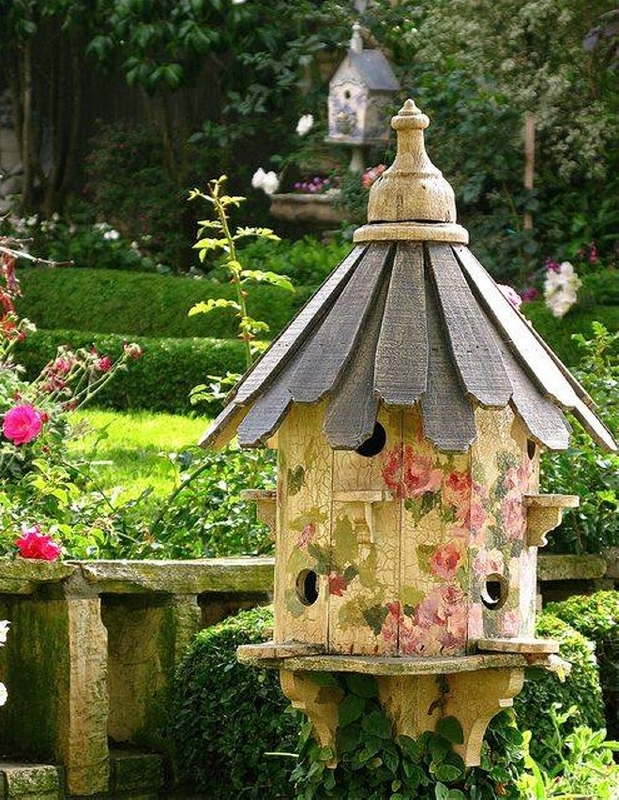 A bird house is basically a man made enclosure provided for birds to nest in. 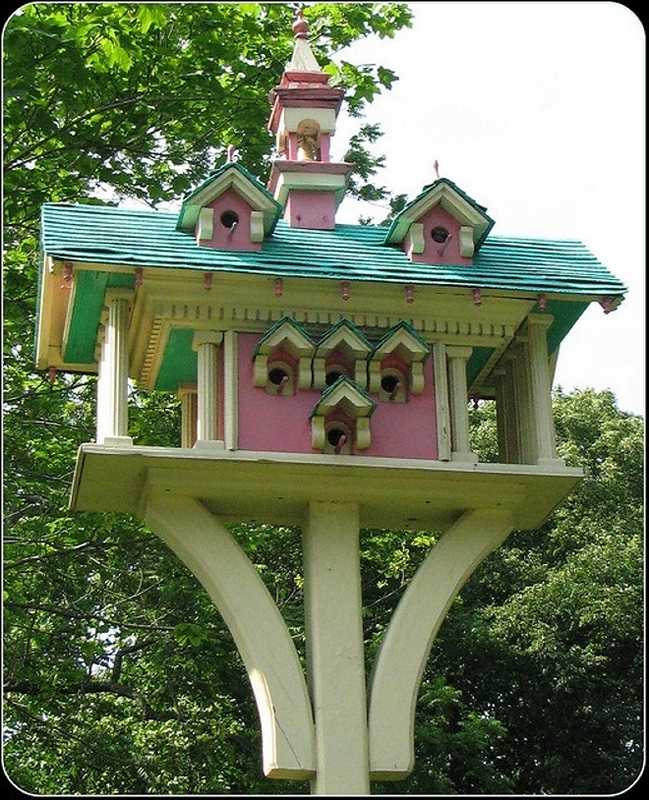 This first one is Japanese art inspired bird house colored in light pink and some shade of blue. 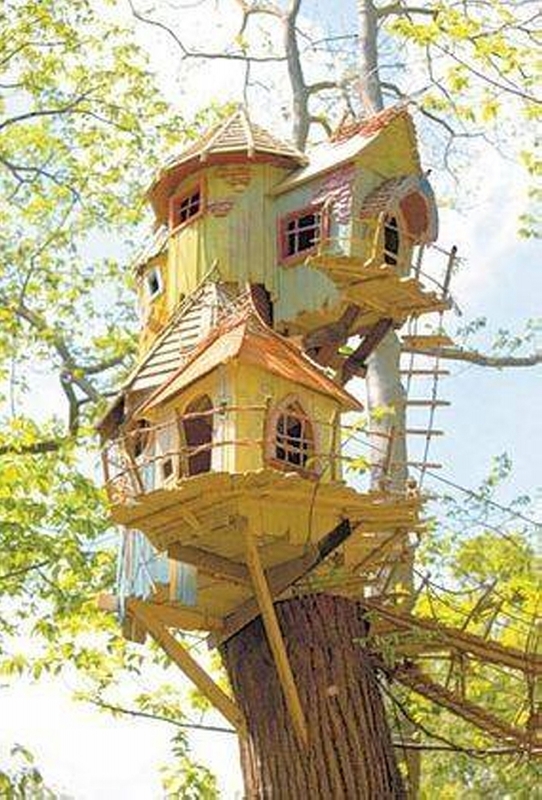 Above from the ground it is designed and manufactured in very artistic way like the real human homes. 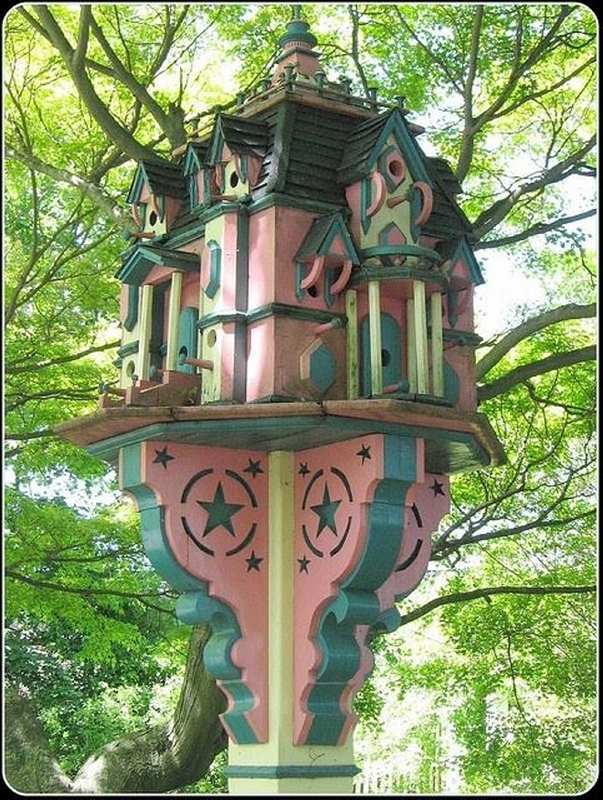 Bird houses are usually wooden although the favorite of purple martin is a metallic one. 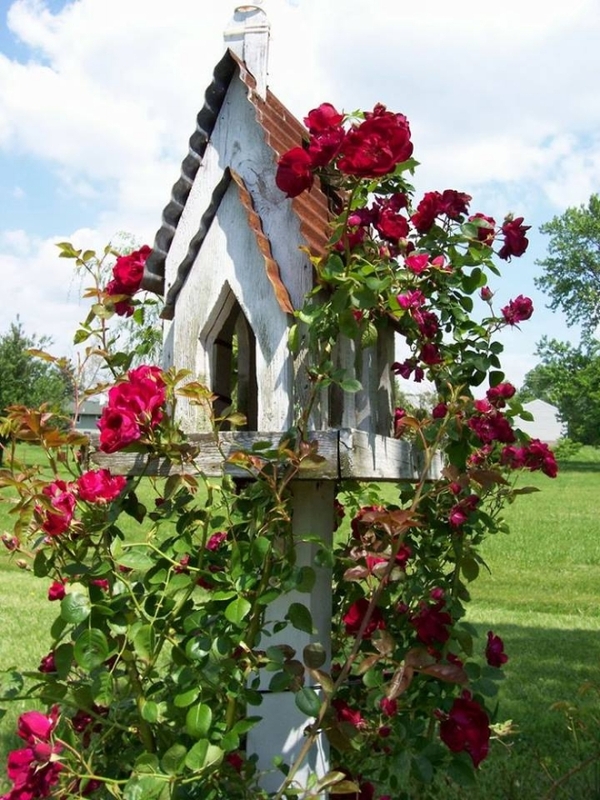 Some birdhouses are also made with wood and concrete mixed, they are named as woodcrete. 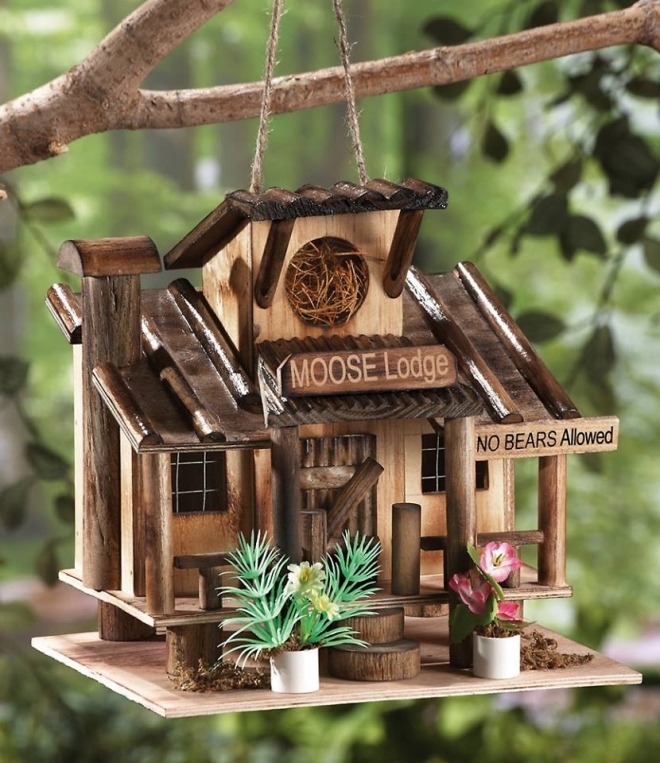 These bird house must hold some specific shape and design like they must have a slopped roof, a recessed floor, drainage and ventilation holes, a way to access the interior portion of the bird house for monitoring and cleaning. Here is a bunch of some tiny wooden bird houses installed along the wooden pallet wall. 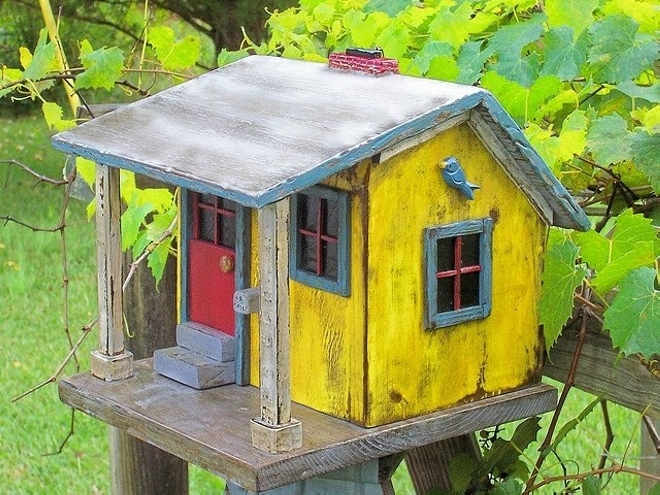 These typical bird houses have ventilation holes on the front, a slopped roof, plus plenty of space for a bird or a pair. I was the one to choose, this certainly would have been my favorite one. 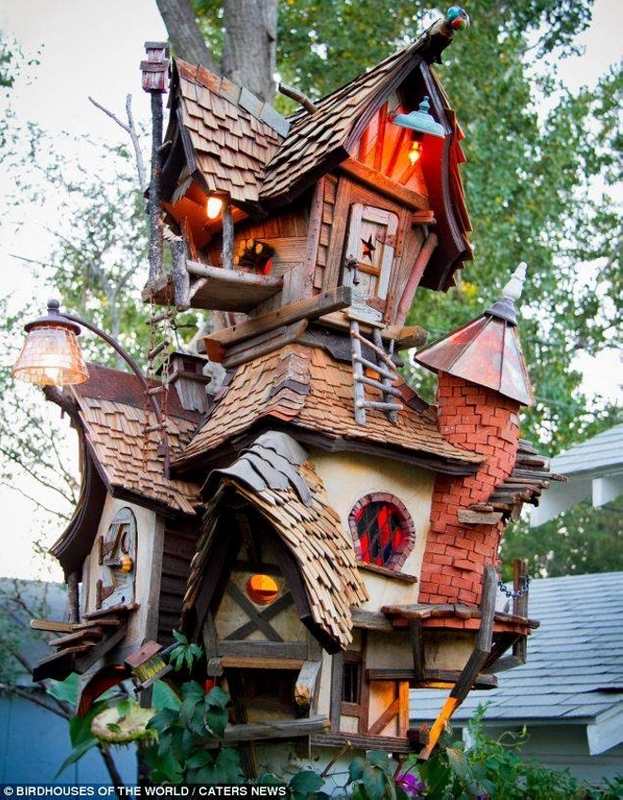 Here in the last we come across a stylish and huge tree laden bird house. 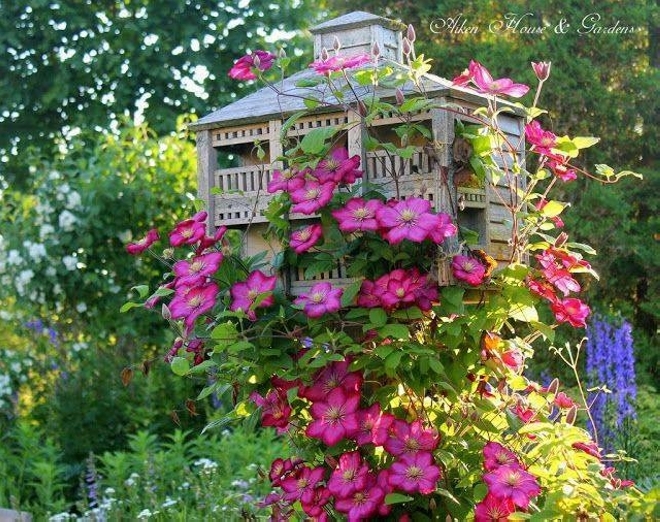 This is stylish this is big and this has all the essential elements of a perfect bird house as it is built right on the branch of a tree which is most appropriate place for all the birds. It has all necessary ventilation and drainage holes. Plus it has plenty of space for cleaning and monitoring. 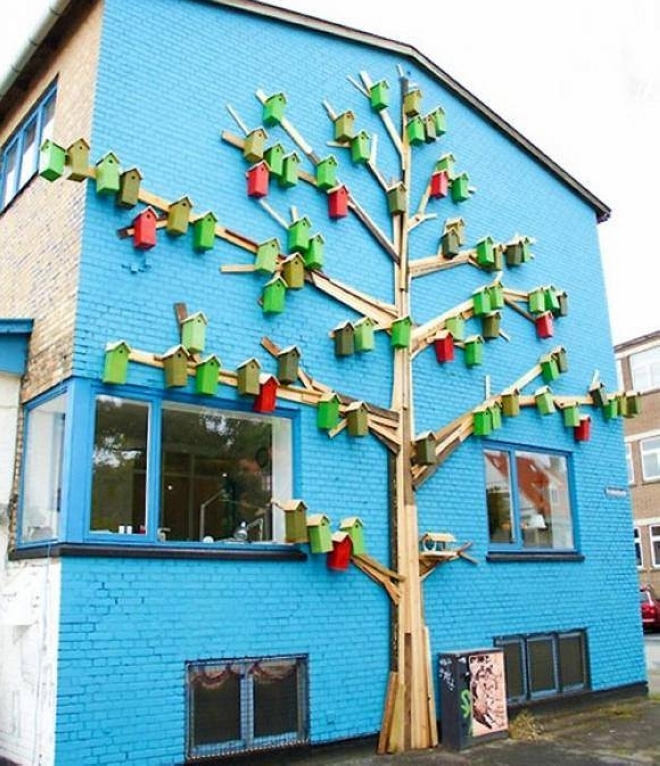 So you can choose your favorite bird house that appeals you the most.